Britsport of Seattle July 2012. 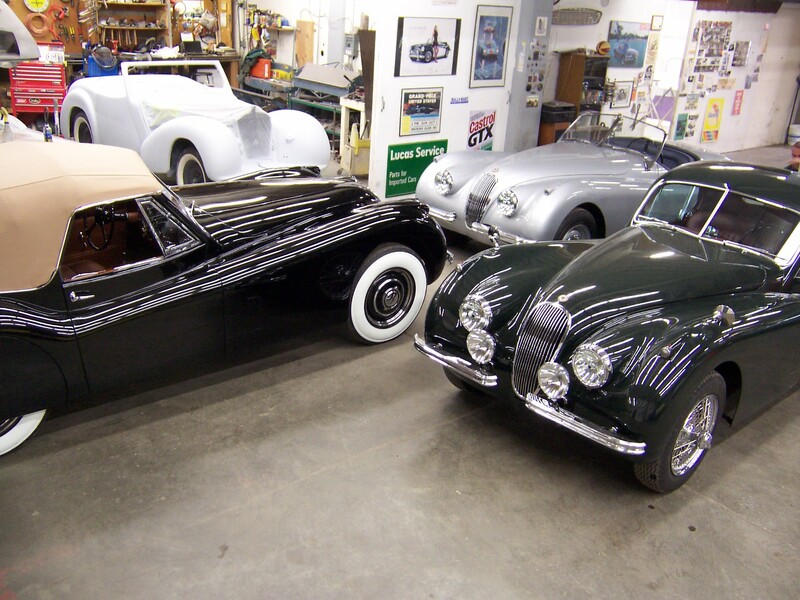 All three body styles of the iconic XK120 represented in the shop, all in for various repair/restoration work. This entry was posted on Monday, July 9th, 2012 at 2:08 pm	and is filed under Britsport, Photo Gallery. You can follow any responses to this entry through the RSS 2.0 feed. Both comments and pings are currently closed.